A Standard Backless Outdoor Bar Stool For Your Patio - Sleek & Modern! 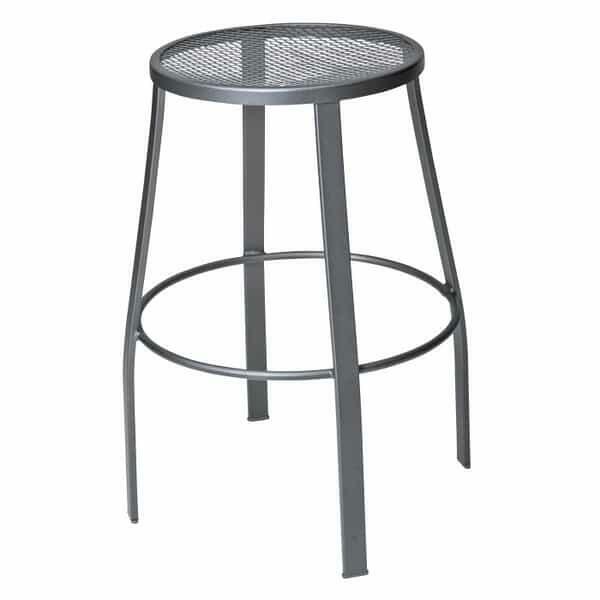 Offering a sleek and modern take on the standard bar stool design, the Universal Bar Stool - Mesh Seat by Woodard is a great choice for any outdoor area. Do you have an outdoor room with a bar? Or maybe you own a deck with a railing or banister that obstructs a great view? Outdoor bar stools are great solutions for these situations, offering heightened views and easy seat access. This model was designed for outdoor placement, being made from wrought aluminum that undergoes Woodard's Metal Guard finishing process. This process adds layers of protective powder coatings! So if that outdoor area requires nothing but the best, consider the Universal Bar Stool - Mesh Seat by Woodard and Family Leisure!